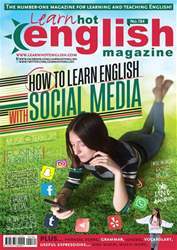 Digital Subscriptions > Learn Hot English > 184 > HOW TO BE STYLISH! Look at the pictures. Who do you think is the most stylish? Why? Then, describe the clothes that two people are wearing. Read or listen to the article once. Were any of your descriptions similar to the ones in the article? Read the article again. Then, write the name of person next to each statement. 1. She’s got a long-sleeved T-shirt on. 2. She’s wearing an outfit with a cartoon character on it. 3. He’s got a black leather jacket and a pair of sunglasses.